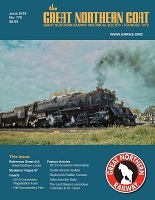 Enjoy reading about the Great Northern Railway in these articles. Please see the Articles Menu for current articles. If you would like to contribute an article please contact the webmaster for more information.